Though previously a campus chapter, we've expanded to try to organize the NWI region, founding chapters in various schools and cities, and networking with local and community groups. 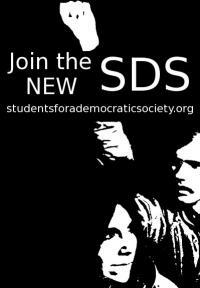 Because of our close proximity to Chicago, we try to coordinate with the Chicago SDS chapters on events and campaigns. Currently, we are affiliated with (not only SDS) but the Central District Organization in Gary, and the Purdue Calument Social Justice Club.